Excellence in Motion Since 1974! Our Full Service Department works on vehicles that are road licensed "street legal"
Check out the new Terrain and Express series from E-Z-GO. Out-performs on every course, every day. 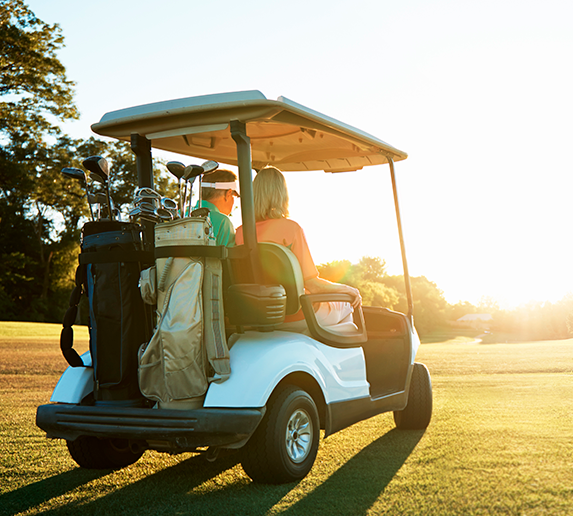 At B & W Golf Cars in Naples, Florida, you will find golf cars and utility vehicles, with a full line of accessories from industry leaders like EZ-Go, and Club Car. Our certified technicians are ready to repair or service any equipment. We have serviced the Naples and Ft. Myers area since 1973. Our trained sales staff will be happy to help you at our retail store in Naples. Browse our online store 24/7 at bwgolfcars.com allows you to request a quote or contact us with any questions. If you're outside of Collier or Lee counties, call for current inventory or with any questions.